Gain some unique culinary knife skills and learn the art of Thai fruit and vegetable carving from our master chef. Take garnishes to the next level with our fruit and vegetable carving class. 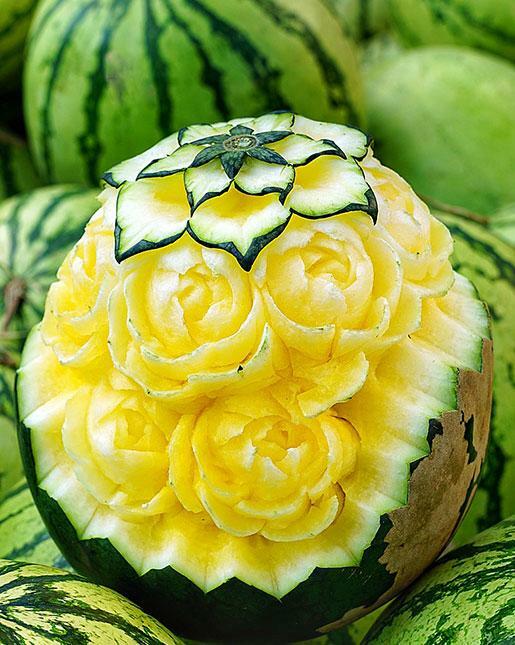 Learn how to carve fruit and vegetables into floral designs. Develop your knife skills and bring home some carving tips and tricks. You’ll learn the basics of carving vegetables into flowers and leaves that can be arranged into a bouquet. Experience the different styles of carving fruit and watch a demonstration. If you’ve done cooking classes before and want to try something unique and different, this class is for you.